[Picture to left is a magnified non-woody root with root hairs. 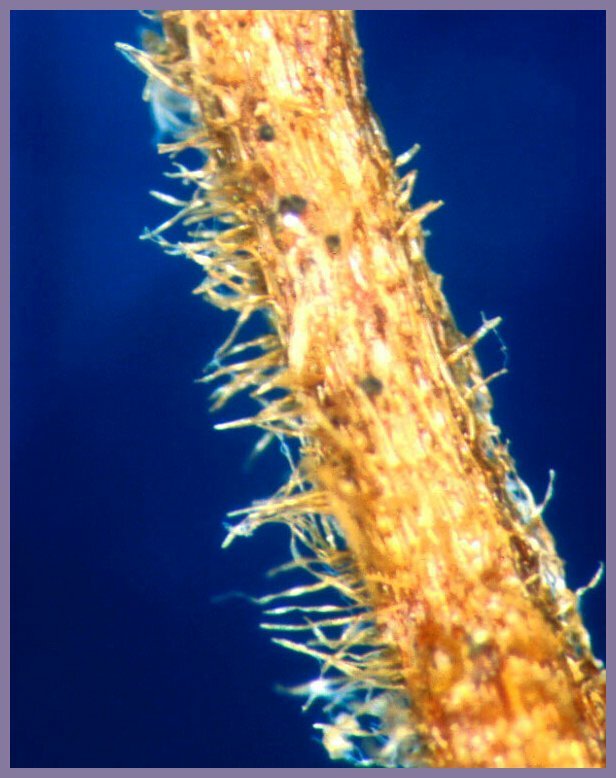 Root hairs are extensions of single epidermal cells (Note to be confused with mycorrhizae). One of the functions of these tree parts is absorption of essential elements dissolved in water. NOT TREE FOOD!!!!!!!!!! Trees manufacture their own food - glucose (they are autotrophs). Image is from SHIGO 2002 CD.s] See "Tree Food".